Every musician’s magazine routinely publishes a list of the greatest guitarists known to mankind. Some are reader polls where you vote on names from a predetermined list, while others are lists compiled by the magazine editors according to their preferences. How many “World’s Best Guitar Player” features have you read that include the same 25, 50, or even 100 players that you’ve read about in every other magazine? How unoriginal! How boring! We decided to take a completely different “spin” on this topic, uncovering the best guitarists from the ‘80s who didn’t receive nearly as much press (if any) from guitar magazines as their more famous contemporaries, despite having equally impressive talent, a unique sound and style, and now in retrospect, the fact that they left an everlasting mark on the music world. The ‘80s were a period in rock and pop music that showcased the most developed technical fretwork ever put on display. 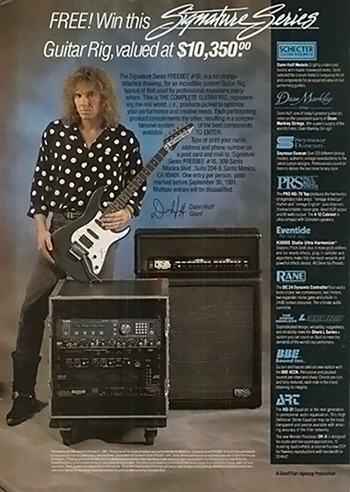 It was the era of shred and neoclassical soloing, and while the ‘70s laid the foundation for hard rock guitar, it was during the ‘80s that players really took their technical mastery to another level, practicing guitar sometimes for seven or more hours per day in their quest to be the quickest, most precise, players ever heard. But while the ‘80s gave us some of the most undisputed guitar heroes in the shred arena, it also gave us a number of amazing guitar players in all styles of music ranging from pop to new wave to punk to progressive to alternative rock. 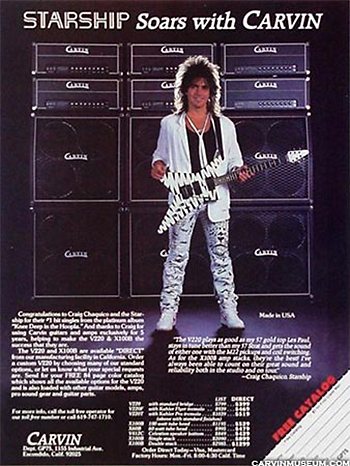 Unfortunately, the “hair band” shredders dominated ‘80s magazine coverage, with a short list of non-shredding guitar heroes making it into the pages of the big three guitar magazines of the day: Guitar World, Guitar Player, and Guitar for the Practicing Musician. For those of our readers old enough to have grown up in the United States during that decade of parachute pants, ripped denim and bolo ties, you’ll recall some names that were featured almost monthly on magazine covers: Eddie Van Halen, Reb Beach, Warren DeMartini, Steve Vai, Eric Johnson, Nuno Bettencourt, Joe Satriani. The Edge was the token alternative rock guitarist featured regularly, Eric Clapton and Stevie Ray Vaughan represented the universe of blues players, and the only regularly-featured progressive rock guitar players were Steve Howe and David Gilmour. Al DiMeola, Frank Gambale and Scott Henderson represented the world of jazz fusion. Adrian Belew and Alan Holdsworth were the "experimental" players. With an editorial team heavily staffed by ‘80s rock music trivia nuts, and friends and colleagues who shared an almost encyclopedic knowledge of music from that era (not just the shredders), we set about determining the best guitarists from this period whom we didn’t get to read about nearly enough. To be sure, there were days of back-and-forth debate, sometimes just trying to figure out if someone had enough coverage in the old magazines. Sometimes the question was whether the person was remarkable enough to have influenced other musicians, or whether or not they had a significant impact on the musical landscape in general. Eventually, we decided to exclude players from the jazz genres, and once we got our list down to fifty amazing players, we decided to chop it a bit further. Forty seemed like the magic number since our list included many players from what was then considered Top 40 music. Yes, it’s hard to imagine that once upon a time, the Top 40 was filled with bands that featured electric guitars… and guitar solos! Many of these guitarists have sold tens of millions of albums with huge bands you’ve been listening to for years, while others toiled in mid-level, gold-record success. Whether from a platinum selling AOR band in Scandinavia, an underground indie band in America, or a new wave band in Great Britain, the following artists are guitar players that serious musicians, like you, should get to know. Explore their back catalog of work, and check out what they’re doing today. Odds are, these guys influenced many of your modern day favorites. And, the majority of their bands have survived to this day, proving that real musical talent is truly enduring. As you explore this collection of fantastic guitarists, you will of course throw inanimate objects around the room, call us names, and complain that we didn’t feature so-and-so. Before you get too worked up, though, consider that many artists who didn’t make our list actually received plenty of press back in the ‘70s. We limited our focus to artists ignored by the media in the ‘80s (a few guys who got started earlier squeaked by due to the fact that the '80s was when they became mega-stars, but again, remember our list is based on magazine coverage, or lack thereof). Tell us what you think of this feature on our FaceBook page!!! With all that said, you’ll either love us or hate us for this feature, but at least we’re not going to bore you with another list of the same old players. Each of these players are masters in their own right, and we present them in alphabetical order. The featured videos are from songs released in the '80s, showing what these players were up to back in the day. You should also check out some of their later material to hear how they continued to evolve over the next 30 years. In some cases, we've included a bonus video showcasing their bands’ evolution, or other behind-the-scenes footage. We ask that you forgive the poor quality of some of these videos. Many artists do not have their classic videos available online, so we had to resort to lo-res uploads from various fans here and there. Without further ado, let’s get this '80s party started! Kick back, crank up the speakers (or put on your headphones) and explore the top 40 under-appreciated guitarists of the 1980s who didn't receive the press recognition they deserved. Updated gear info: Many of our readers are professional musicians who may have connections to the guitar players profiled in this feature—or you may be the actual artist! If you have more detailed information regarding the equipment played by any of these artists back in the ‘80s, please drop us a line at info@musicplayers.com and we will update the profiles as appropriate. Thanks!